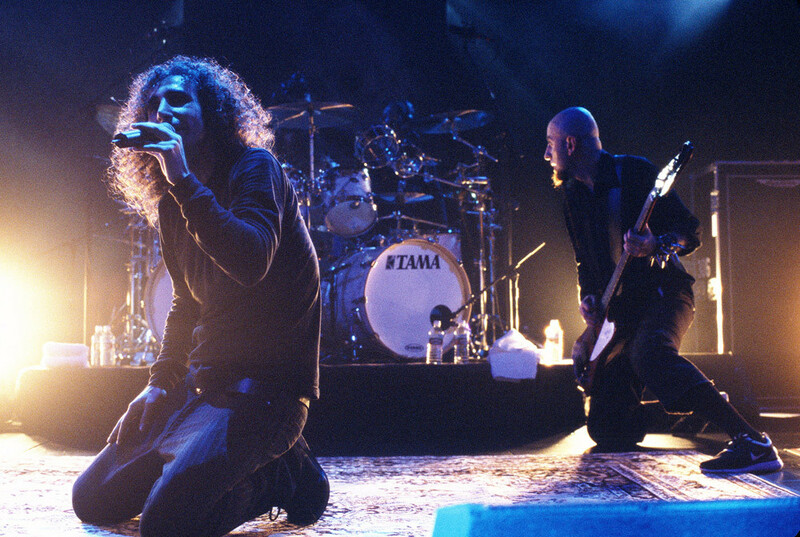 Documentary feature following the rock band System of a Down as they confront the issue of the Armenian Genocide and efforts by the Turkish government to deny it. The film traces the genocides links to the Holocaust, Rwanda, Bosnia and Iraqi Kurds and the genocide in Darfur, shows why U.S. foreign policy turn a blind eye to genocide as they happen. The only American ever to anchor the famous BBC World News, Carla Garapedian earned her Ph. D. in international relations at the London School of Economics and Political Science before working as a producer, director and correspondent based in Britain. She has made her name as an international documentary director, with the film about the brutal treatment of women in Afghanistan - Lifting the Veil - which premiered in the US on the Sundance Channel in 2003. In Dying for the President she made world headlines by sneaking into Chechnya to document the Russian army's single worst war crime, the bombing of a white-flag refugee convoy. More recent headlines surrounded her 2005 film, My Friend the Mercenary about the attempted coup in Equatorial Guinea, linked to Mark Thatcher and the notorious mercenary, Simon Mann. Garapedian went inside the mercenary world in South Africa, where the coup was plotted, and secretly filmed in Zimbabwe and Equatorial Guinea. Garapedian's other acclaimed film was about North Korea, Children of the Secret State, a film that detailed starvation, human rights abuses and cannibalism in that impoverished nation. Her film Iran Undercover, about the underground student movement in Iran, won the prestigious Edward R. Murrow award in 2005, as part of the PBS Frontline World series. The headline about her in the LA Times Calendar article is probably the best description of her work so far - Documenting Truth in Dangerous Places. In addition to anchoring BBC World News, Garapedian has been a correspondent for NBC Sunrise, NBC Nightly News and CNBC financial news. She narrated the Armenian genocide film, Voices from the Lake by the acclaimed filmmaker, J. M. Hagopian, as well as co-writing his award-winning film Germany and the Secret Genocide. Screamers debuted at the AFI Film Festival in Los Angeles in November 2007 where it won the coveted Audience Award. It has been on nationwide release in the US and Canada and has recently begun its international theatrical release. As well as being shown around the world, the film has been shown in the Library of Congress and the Harvard Kennedy School of Government, and the British the Houses of Parliament. Cooking the Books (1989), Spies; In from the Cold (1990), Europe’s Nuclear Nightmare (1991), A Short Break in the Interference (1993), Aliens Go Home (1994), Dying for the President (2000), Children of the Secret State (2001, doc. ), Lifting the Veil (2002), Iran Undercover: Inside the Hidden Revolution (2003), My Friend the Mercenary (2005), Screamers (2006).